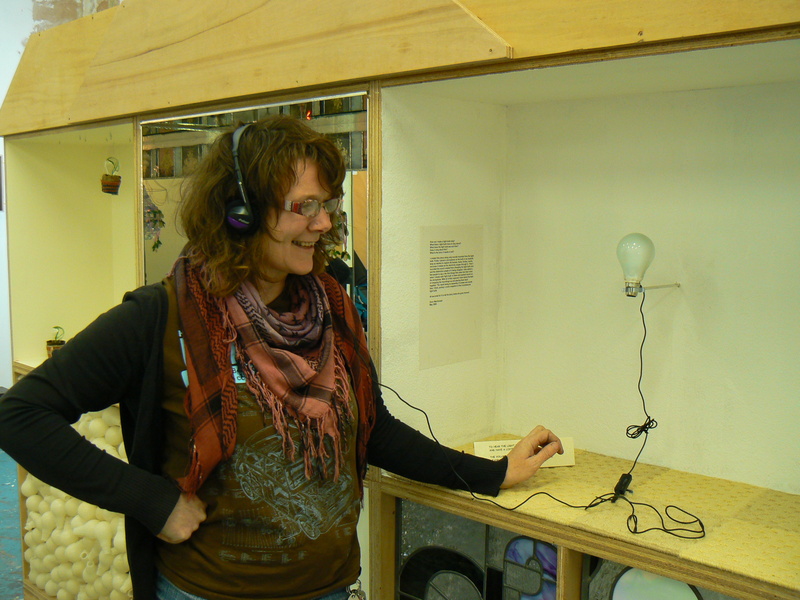 is the collective name of four freelance artists: Nikki Gunson, Patrick Bullock, Sarah Parsons and Jo Coles. invent large centre piece static and processional imagery for public events. manage large and small arts projects. 100w seeks work for the independent artists in the group and larger work that involves collaboration. We are interested in making all sorts of things ..get in contact if you need something. 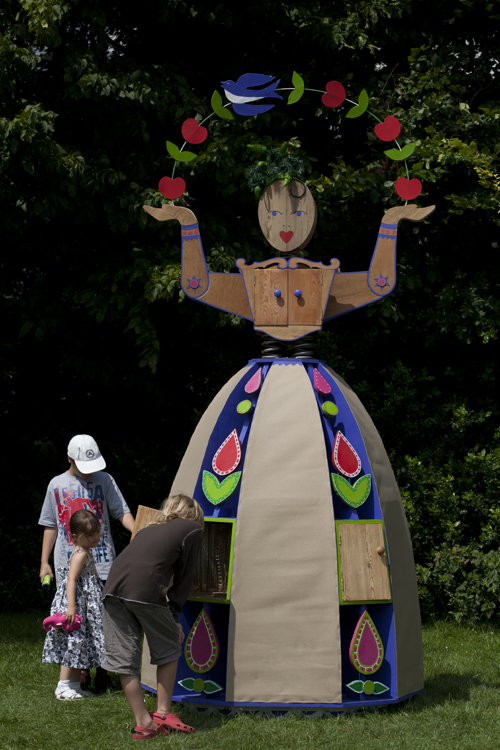 In May 2012 100w made four 3m tall figures for The Brighton Festival Childrens Parade . One of our figures was lost after the event. This was a figure called Percy made by Jo. He became quite famous after the event as it appeared from photos on social media sites that he was travelling around Sussex. Eventually his head was found, oddly by an Argus reporter near Alfriston and it was eventually returned to Jo.. we wonder whether slowly all his body parts will be returned to us….? 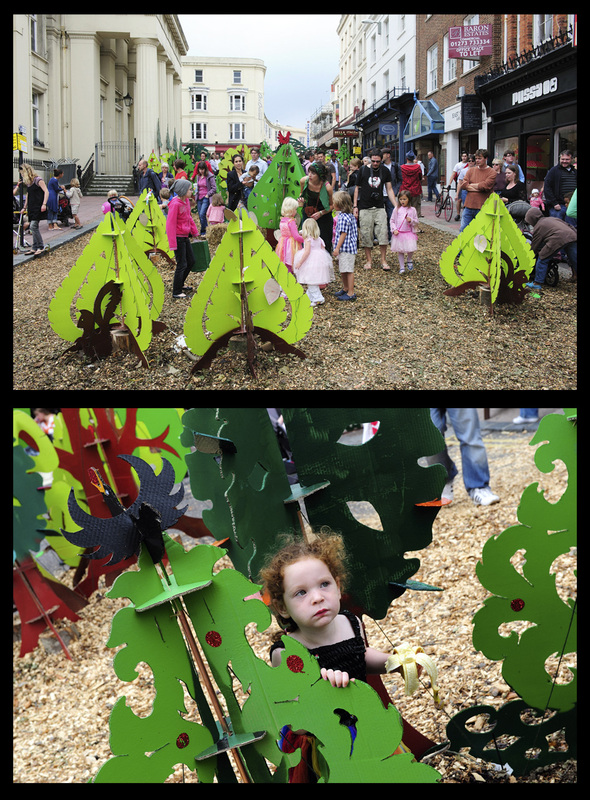 100w artists are currently in the production phase of 4 centre piece figures for Brighton Festivals’ Children’s Parade. 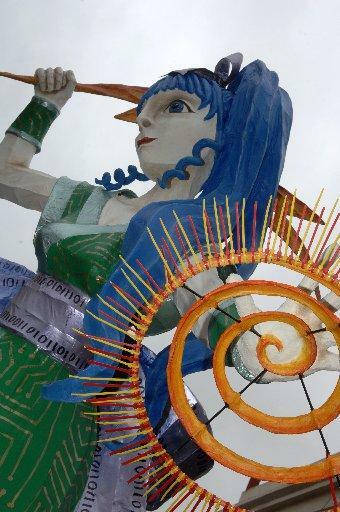 100w have been commission by the parade organisers, Same Sky to make 4 figures that represents the four ages of the their theme for this years parade entitled: The Story of Stories. The giant figures represent prehistory/the ancient world, the dark/middle ages, enlightenment and the industrial revolution and finally the modern age. 100w artist Jo Coles was recently commissioned by ‘The Making’ (www.themaking.co.uk ) to create a giant wooden folk figure inspired by her frequent trips to Poland. The Polish lady or Polska Pani was featured at Basingstokes World Party in the Park as part of the Cultural Olympiad celebrations. 100w travelled to Stoke on Trent on the 18th of November to be part of Stoke on Trent City Partnerships Light Nght Event. 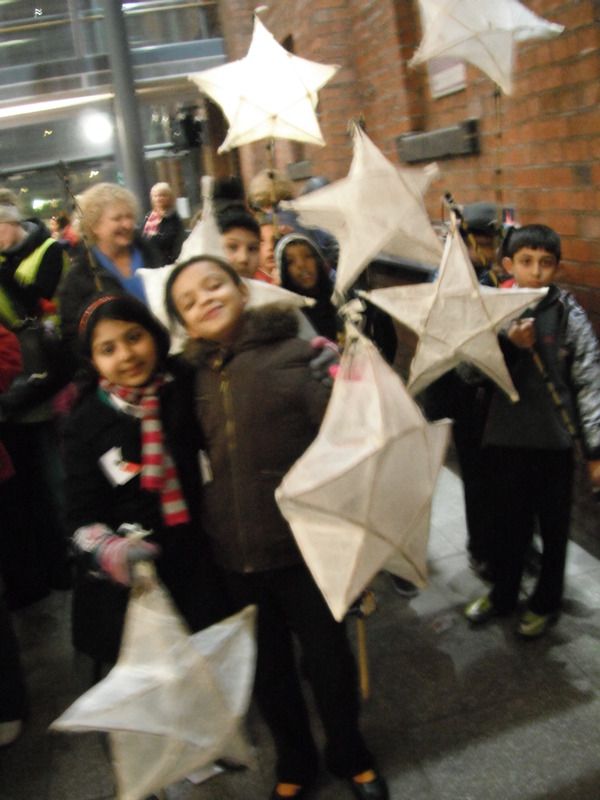 At the beginning of the month we spent a day with children at Hanley Forest Park School and made 50 star lanterns with them. 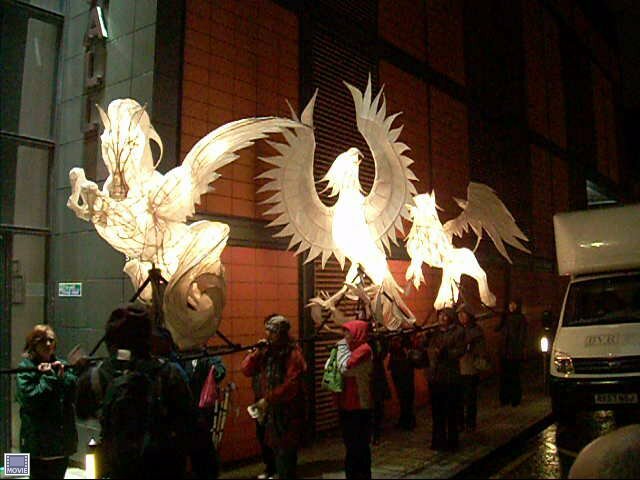 Please see our mythical beasts page for more pictures of the lanterns. They are now hanging in Victoria Hall in Stoke on Trent for the Festive season . 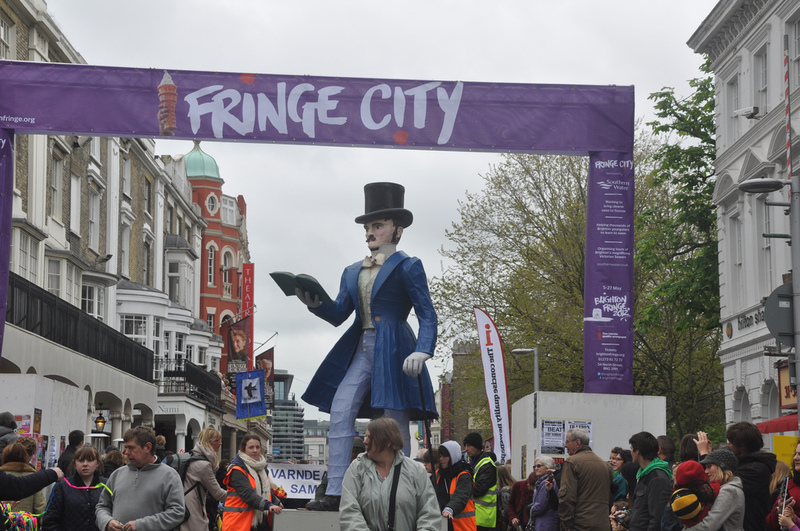 Our First large scale public art event was Car Free Day on 20th September. 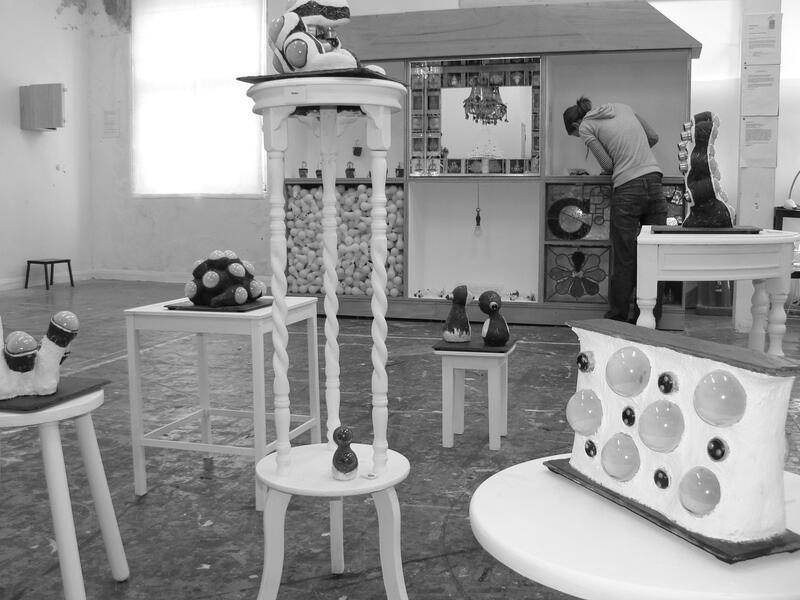 We not only tendered for commission from Brighton and Hove Council, we managed and made the artefacts for the project. We also put together a production crew and installed and removed the installation. As you passed through the trees the rich and diverse sounds of the forest were heard, 4 armchairs were transformed to create a contemplative rest point holding secret sound systems. 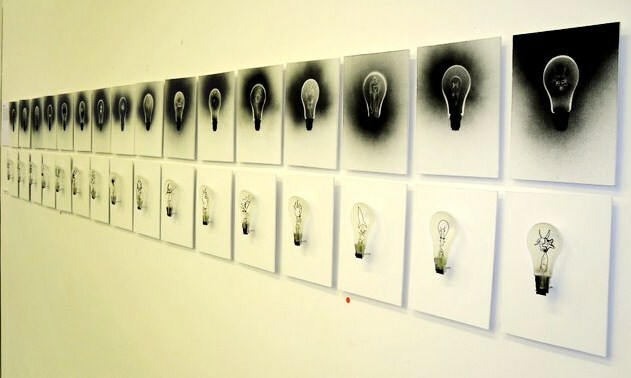 OUR HOUSE was a thought provoking and topical concept based exhibition, exploring the form and role of the incandescent light bulb through a range of media.